Another Monday, another batch of cards to be on the lookout for. Otherwise it’s been a quiet weekend; we’re all still processing the Silver Showcase news, and the Legacy shakeup, and laughing at people that bought Stoneforge Mystics in hopes of it getting unbanned. Piles of irrelevant and useless Arabian Nights and Legends cards continue to disappear, and whomever is buying them is “making” money, assuming they can ever sell them. Oh yeah, Magic 2019 just had its prerelease too, so watch for those to start hitting display cases and online inventories. 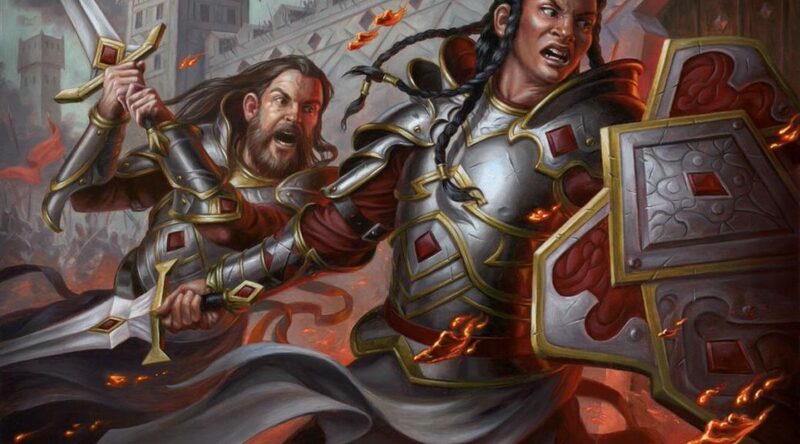 I don’t know about you guys, but Dominaria and M19 are completely running together in my head. I spend a fair bit of time looking for cards with new demand profiles in EDH. Cards that suddenly find themselves with a new vector of demand can run low on supply rapidly, and prices often follow. This is not that type of card. I may have written about Astral Cornucopia before, although it would have been quite some time ago. Whatever it was when I first talked about it, I still like it. Atraxa continues to be the most popular general, according to EDHREC, and I don’t just mean of all time. Every week, the most new decks logged are Atraxa. People keeping showing up and building that deck. Why? I don’t know. But they do, so she’s popular. Once you’re sitting down and listing out cards for Atraxa, it’s a crime to not write down Astral Cornucopia. Depending on your board state it may end up mana-neutral the very turn you play it, with huge generation each turn after. In most decks, it’s too expensive to be worth it, but when those counters are basically free rather than three mana, the value equation catches up quickly. So what’s going on with the card? Well, there’s a few copies left dotted around at $4 or so. It ramps up to $10 shortly after, so it wouldn’t be hard to bring the floor on that up to my predicted price to begin with. Even $10 is a soft ceiling though. If Atraxa really is as popular as she seems, and people really do keep building this deck, how does this card not completely disappear? It’s been a few years since Modern could move the needle on a weekly basis, as many players have sort of “settled in.” That doesn’t mean prices don’t move, it’s just that changes aren’t as frequent, and they’re not as explosive when they happen. Today we’re looking at Hardened Scales, which isn’t exploding by any means, but it is a card being pushed by Modern. Falling hard on the outside of the bubble at GP Barcelona yesterday was Hardened Scales Affinity. It’s an Affinity modeled more after the original builds, and even has some honest-to-god affinity cards! You’ll also see Hangarback Walkers, Walking Ballistas, and of course, Steel Overseers and Arcbound Ravagers. Every single one of those sees their effectiveness basically doubled with a Hardened Scales in play, since all their activations are separate triggers, which each count for Scales. In fact, if you play Arcbound Worker, then Ravager , then sac Worker to Ravager, you end up with nine counters on Ravager. Then sac Ravager to itself to move the counters onto Inkmoth and you’re at 10 already. Nifty interaction for sure. Hardened Scales has been popular in EDH since it was printed, and is up to nearly 10,000 decks on EDHREC. That’s certainly in the top tier of EDH playables. (Doubling Season is at 14,000). Khans of Tarkir is also starting to get a touch long in the tooth, as it turns four years old this September. Heck, we’re probably going back to Tarkir next fall or something. With healthy EDH demand, a possible new Modern appeal, and an aging printing, foil Scales have got a lot of things going for them. There are a few things that are fairly universal within Magic, and one of those is players enjoying A. drawing cards and B. gaining life. It just so happens that with Alhammarret’s Archive, you can do both harder. Draw hard, life hard, win hard. First and foremost, this is a slower burn than some of the other stuff. There may be a whole 15 copies of foil Astral Cornucopia left under $10. There’s 70 vendors on TCG for Archive, some with multiple copies. It’s a deep supply. It’s a “pick them up here and there in trades, and if someone has one on sale while you’re placing another order” type of card. I’m bringing Archive up because even though supply is deep, it’s certainly a popular card. It’s in (ugh) over 9,000 EDH decks right now, and this weekend would have been the third anniversary of it having been printed, so like Hardened Scales, it’s starting to get up there in age. It’s going to be popular in casual circles, where they love doubling crap. See: Doubling Season’s popularity, even before EDH existed as a format. Foils aren’t going to be a big sell to the kitchen table crowd, of course, but kitchen demand will still help overall. Archive could easily end up the next Doubling Season, or something close to it. Most decks gain life or draw cards, and Archive turbopowers both. Without a Commander set reprint, it’s on the way to $20, $25, or more.